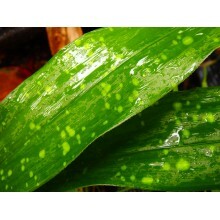 General Plants There are 1035 products. Uncommon Archontophoenix species from Northern Australia. 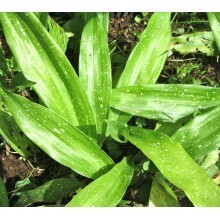 Leaves are silver underneath, somewhat pendulous or drooping. 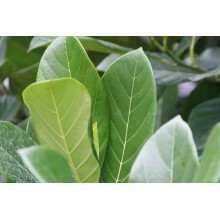 It is suited to coastal Mediterranean condition and it takes cool weather and short, light frosts. 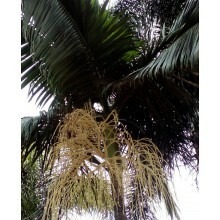 Branched plant. 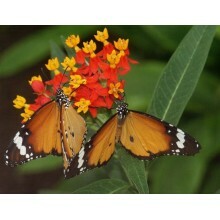 Cont.= 8,5 cm. 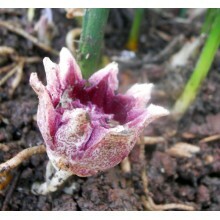 Pink flowered, clumping dwarf from the Knersvlakte desert in So.Africa. 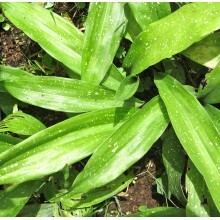 Leaves are blueish and finger-like. Rests in summer. Grafted! 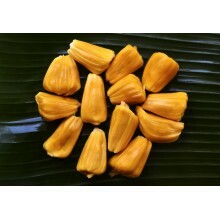 - The Jackfruit is the largest of all fruits after the pumpkins. 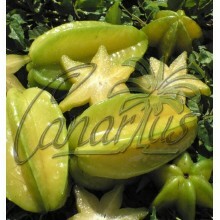 It is a sweet and tasty relative of the Breadfruit, an everloved fruit widespread in SE Asie. 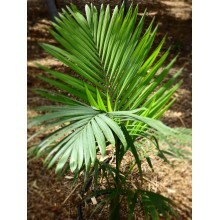 It is tolerant of light frosts and can be tried outdoors in the warmer Mediterranean with some protection. 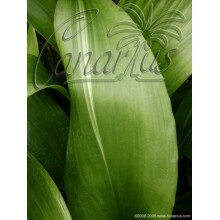 Grafted plants can also fruit in large pots as they can be kept small. 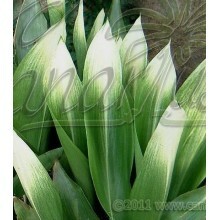 Hard-to-find Japanese selection of "variegated" Aspidistra. 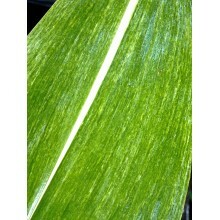 It is not striped: each leaf develops a cream white "shade" in the upper part of the blade. 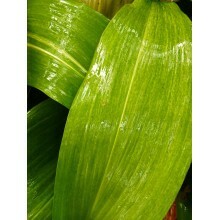 Aspidistras make excellent pot plants for shade. 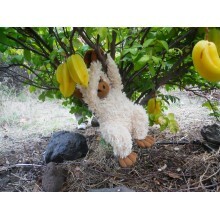 They can live indoors or outdoors as they can take real frost. 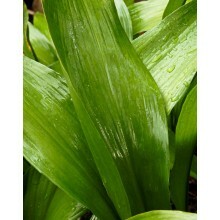 This selection of Aspidistra elatior from Florida is a particularly nice, wide-leaf, solid dark green selection. 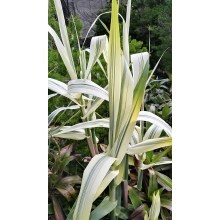 It grows to at least 1 m tall with broad foliage that may exceed 15 cm in width. 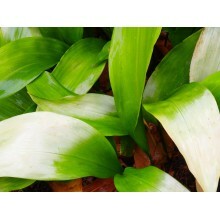 A bold garden specimen. 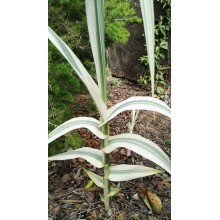 Wide exotic striped leaves rise from rhizomes. 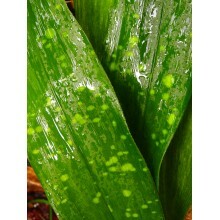 Aspidistra is a perfect indoor plant and a does well outdoors in the tropical-looking garden. 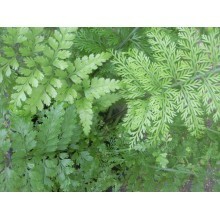 Attractive fern producing small plantlets on its leaves. 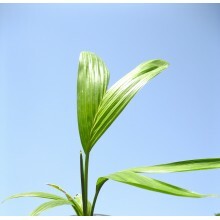 It makes an impressive house plant, to 80 cm tall or more. 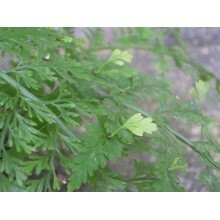 is native to Australia and New Zealand, where Its fronds are eaten as a vegetable. 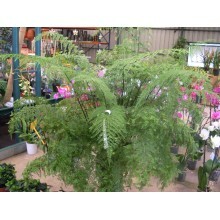 Premium sized specimen of this elegant fern producing "bulblis" on its feathery fronds. 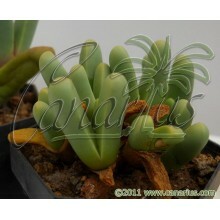 The size is more or less like in picture. 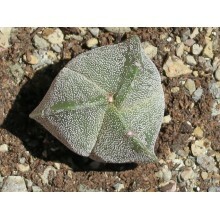 This is an old classic selection of the popular Astrophytum myriostigma with only three ribs instead of the typical 5 ribs. 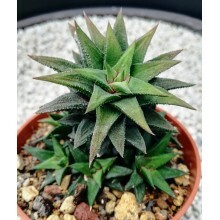 Older specimens with only three ribs are highly prized because some add one more rib as they grow larger, so don't feed too much and grow it on the harsh side! 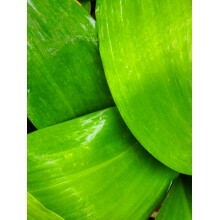 "Kari" is an excellent variety selected at the Unversity of Hawaii. 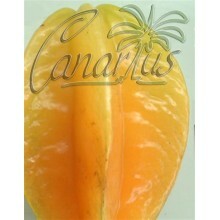 It has rounder fruits, yellow-orange in colour, with no green. 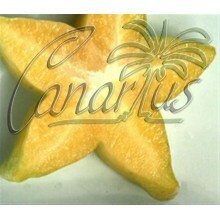 Carambola or "star fruit" is a tropical evergreen tree.